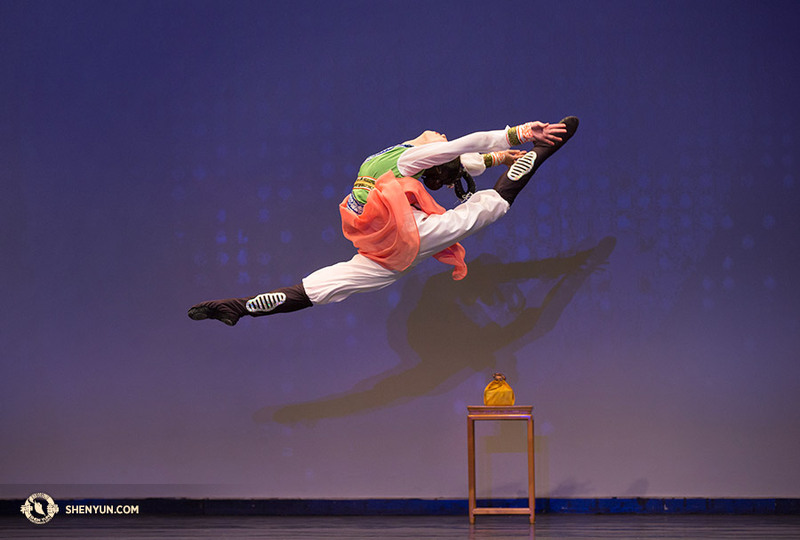 Shen Yun Principal Dancer Elsie Shi soars in a traveling firebird leap (大跳紫金冠). In the hills of New York, not far from the Upper Delaware, the temperature has been steadily dropping and mountain air has turned deliciously crisp. 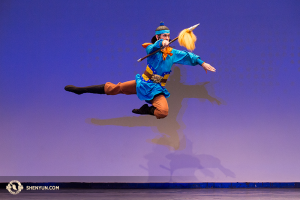 A look at the calendar reveals that we're halfway into October and that means the clock is ticking—there are less than two months to go until Shen Yun 2019! 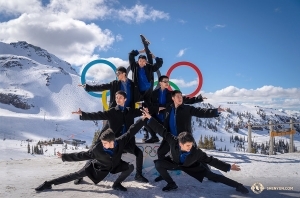 Our musicians just returned from their Symphony Orchestra tour across East Asia and North America. And our star dancers outdid themselves at an international dance competition. Now back at home base, thousands of costumes and accessories (fitted and with every sash and sequin in place) and scores of props (tested and stage-ready) are awaiting the artists. And the exciting relay dress rehearsal period has begun. 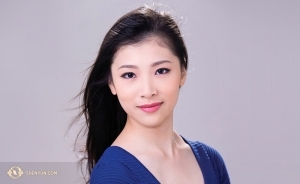 Though we can’t let you in on the details of the all-new program just yet, we have another principal dancer we’d like you to meet—Elsie Shi, with Shen Yun International Company. To give you a feel, her nickname is “Bubbles,” as in Taiwanese bubble tea. Sweet, bouncy, and full of fun—let’s meet Elsie Shi. 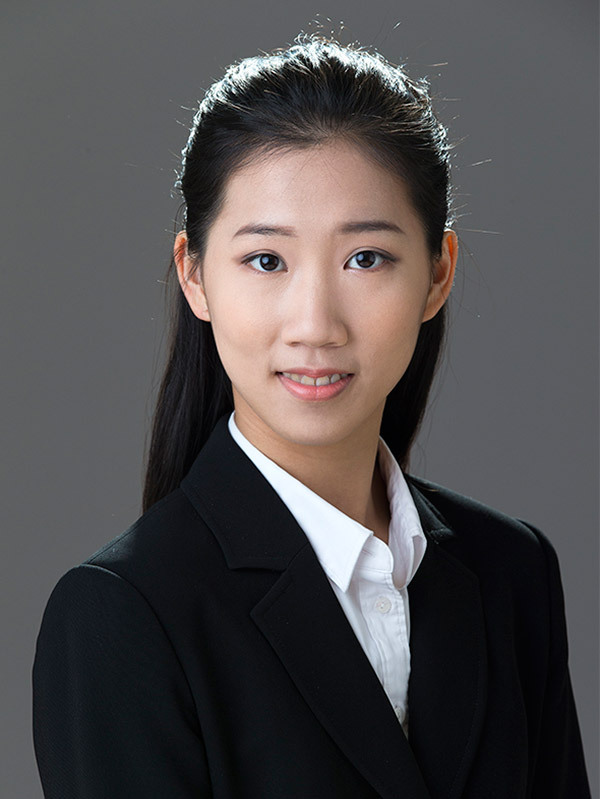 To begin with: Elsie was born in Changhua, Taiwan, the youngest of three sisters. Before stepping on the path of a professional dancer, she became a champion jump roper at age 8—a feat that definitely helped with her conditioning—and she reveals that jump roping is still one of her favorite ways to have a good time. 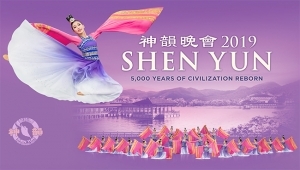 Elsie has been touring with Shen Yun since 2013. 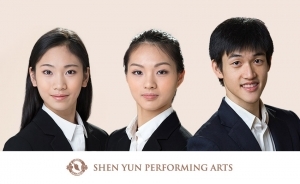 In 2016, she won first place in New Tang Dynasty Television’s International Classical Chinese Dance Competition (adult female division). 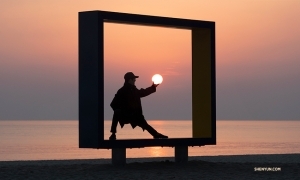 She has a natural gift for classical Chinese dance’s tumbling techniques, which she completes light, springy, and with ease. The lithe dancer can get very excited when asked about the variety of sweet, savory, and unique street foods found in her native Taiwan, although she does have a weakness for American chips and sweet potato fries. And her packing mantra for six months of traveling around the world? Use different sized Ziploc bags to organize and compress. Recent lead roles: Soaring Handkerchiefs (2018), A Child’s Choice (2017), Umbrellas (2017). Elsie Shi says: Thinking back, it’s quite interesting how I first encountered dance. When I was young, I saw gymnasts on TV flipping and turning in mid-air, and I thought it was the coolest thing ever. I wanted to be just like them. But when we went to ask about where to sign up for classes, I was faced with a harsh reality—at age 10 I was already too old to start professional gymnastics training; nobody would want to take me. 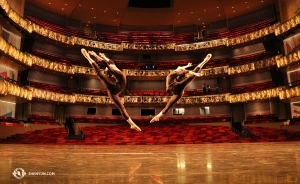 Not long after, however, I found out that there are a lot of tumbling techniques in dance as well. So with my mom’s support, I began my journey into the world of dance. Back then I didn’t put much heart into the actual dancing. I was only into the techniques, and I learned the flips faster and with less effort than my classmates. But when it came to dancing, I was every teacher’s headache. In class, my movements were always too stiff-looking and dry, and the teachers had to correct me so many times every day. Several times I seriously lost confidence in my dancing—I wondered if I just wasn’t cut out for it. But as I matured, gained more experience, and received more guidance from the teachers, I slowly started getting some sense for dance. Once I was able to enjoy it, dancing was no longer a bore. Over the years, I’ve experienced all sorts of joys and struggles—with everything mingled in sweat and tears (and sometimes a bit of blood too, because accidents do happen). Now, dance is how I can express my feelings. No matter if I’m happy or sad, as soon as I begin dancing, all my problems disappear. 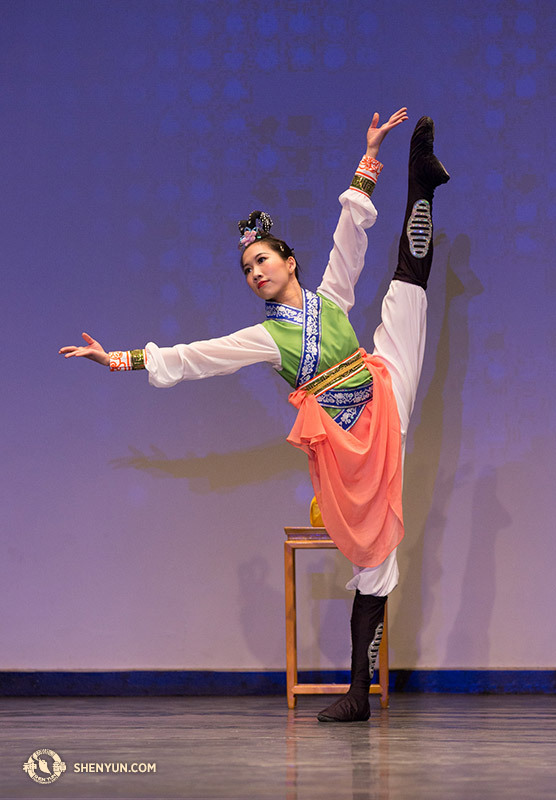 So if you ever get the chance, I recommend that everyone give classical Chinese dance a try!